Shakespeare said it best: What’s in a name? That which we call a rose by any other name would be as sweet. In the retail world we are obsessed with labels (pun intended – sorry, not sorry). Some call it a bookstore, some say it’s a showroom, and at least one site questions whether it’s the replacement for the public library. Whatever you want to call it, one thing is clear, it is a physical location where you can buy, or browse, actual books – and yes – that’s pretty sweet. That sums up the new world of retail pretty succinctly – and it’s a pretty strong deviation from what many analysts, pundits, and headline-writers predicted about the future of the physical store and how it was destined to be over-run by e-commerce. The truth, as is often the case, is never so black and white – but actually a beautiful shade of grey. We’ve learned a lot about consumer shopping habits over the past 20 years and not surprisingly, they aren’t so neat and tidy. Most people do some combination of in-store, online, and click-and-collect shopping. Sure, we know that the vast majority of actual sales happen in the physical store (92%) – but a ton of research for those purchases occur online (increasingly more so via mobile devices). We also know that more than half of online sales are captured by retailers that have physical stores. Therefore, e-commerce *gasp* is actually a boon to physical shopping as it helps drive consumers deeper down the purchasing funnel. It’s in essence a smarter store, using troves of data to help drive layout and stock. That doesn’t mean it’s entirely without “heart” though – note the end of the sentence “curator assessment.” This is the best of both worlds, one that takes captured analytics and human intuition to create a unique experiential location. This is the store of the future and the direction that many retailers are going. 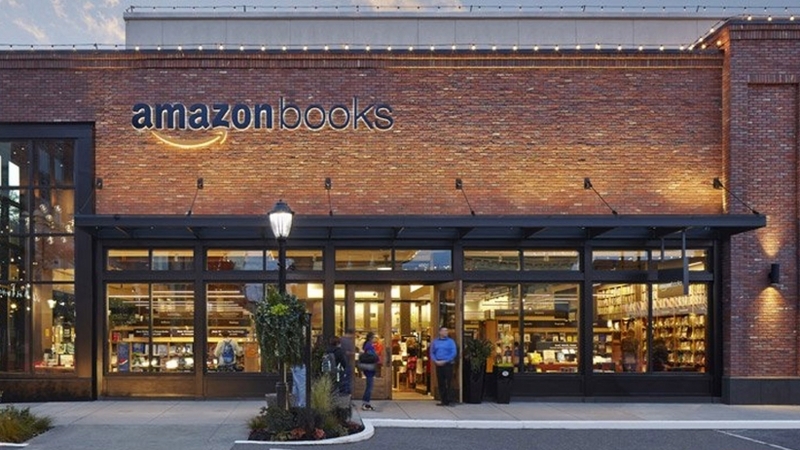 However, Amazon’s new physical bookstore is just the latest, albeit it the loudest, announcement in a long line of retailers going from clicks to bricks. Taking nothing away from e-commerce, this signals to me that the physical store is clearly the epicenter of the retailing universe. It’s where experience, discovery and commerce all converge. E-commerce will certainly be an important component of retailing going forward, but it might not quite be the great disruptor that some thought. People still like to touch and try on merchandise, they like to test out electronics, and apparently they like the heft of a weighty tome. So, we have officially come full circle, back to where it all started – the physical store. Thanks for spending time on the computer (wtrniig) so others don’t have to.